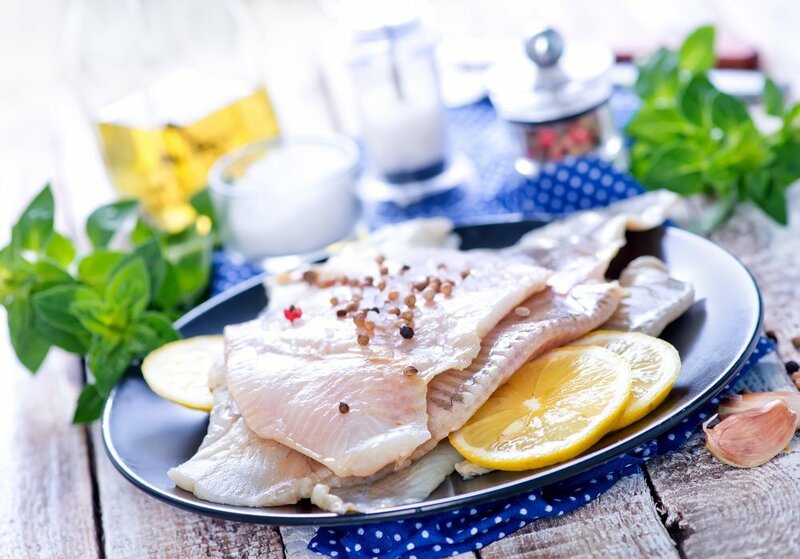 Home Health & Nutrition Sustainable Seafood: Which Ingredients Should You Use? There are hundreds of articles out there about the importance of eating sustainably-produced foods. But while a lot of these give good reasons when it comes to why, they aren’t very clear about how or what. Maybe they include a few tips here and there, but they don’t really help when you’ve got a hungry family to cook dinner for and you’re on your way to the grocery store. Sustainable fish is the first step for a sustainable fish dinner. Take a trip down to your local market to see what’s in season. 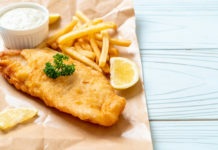 Or next time you’re in the grocery store, check for packaged fish that is certified by organizations such as the Aquaculture Stewardship Council, the Global Aquaculture Alliance or Oceanwise. Regal Springs is approved by several industry certifiers. 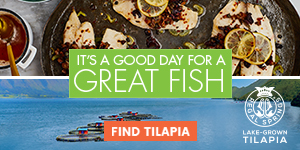 Tilapia is a great choice for any cook looking for sustainable and delicious fish. It has a light taste that naturally complements many flavors. Sustainable Tilapia from Regal Springs is raised with pristine water conditions, in lakes with natural currents and on primarily vegetable-based feed. It’s better to buy sustainable seafood that’s imported than unsustainable seafood that’s local—even if it means breaking your 100-mile diet. Forage fish (small fish that are often prey for larger fish) are a sustainable option as well. Some examples are herring, sardines and anchovies. Do your research before you buy fish to make an educated and sustainable decision. Whether you’re pan-frying your fish or covering it with a delectable dressing before baking it in the oven, you’ll probably want to use oil. Extra virgin olive oil is a popular option due to the mild scent and taste. It’s made without heat processing, deodorizing or chemical solvents used in other types of oils. Professional chefs swear by extra virgin olive oil for everything from sauces to sautés. If you want a more cost-effective option, cook your fish in olive oil and then finish the dish with a drizzle of extra virgin olive oil. From an environmental point of view, olives are considered a low-impact crop: the trees continue to produce lots of fruit even in dry weather and arid climates. You have probably chopped an onion before and found your eyes watering within seconds. That odor comes from sulphur compounds in the vegetable, and it helps keep insects away. As a result, farmers don’t have to spray pesticides on their onion crops. That’s good news for you and the planet. Head to the grocery store and buy a small container of rosemary, basil or parsley. Or, try growing herbs yourself for an abundant, sustainable supply. Having an assortment of herb plants in your kitchen and garden is a great way to start—they’re fragrant, pretty and low cost. You can easily grow rosemary, sage and thyme in your yard or in flower pots. Rosemary and sage are evergreen and will become big and woody, while thyme is a hardy perennial. Try growing parsley and cilantro in window boxes in your kitchen—they make great ingredients and garnishes. Basil is another beautiful herb. Though it can be grown both indoors and outdoors, it can be a little trickier to keep going. These plants add savory goodness to seafood, and they’re all gifts that keep on giving. 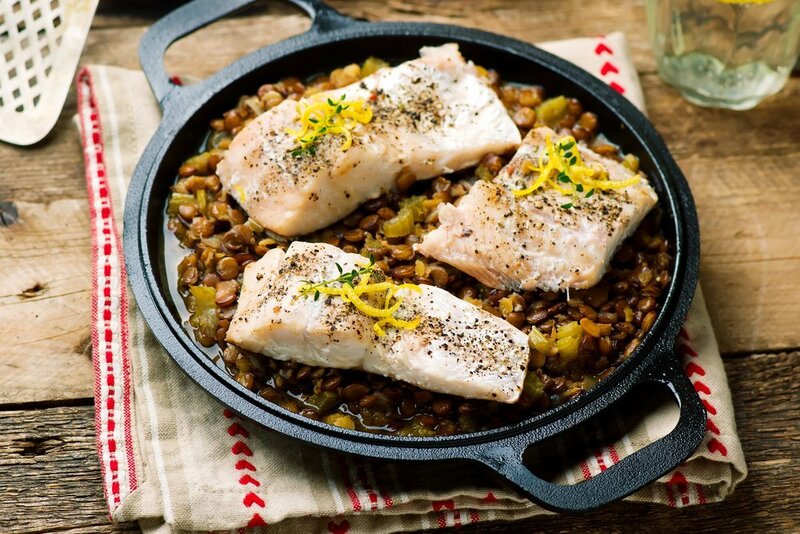 Beans, peas and lentils make great side dishes with fish. These foods belong to the legume family, and they’re good for the soil: they take unusable nitrogen from the air and “fix” it, turning it into extra nutrients. If we grow more legumes, we need fewer artificial fossil fuel-based fertilizers. Legumes, such as beans and lentils, also contain a lot of protein. 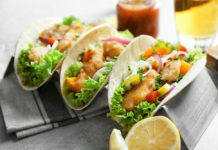 Fish also goes well with leafy greens—which is great, since we should be eating 2½–3 cups of vegetables every day. Dark green vegetables such as spinach and kale hold the top spot in today’s food guides, and they’re also very sustainable. They grow quickly and abundantly in almost any climate. 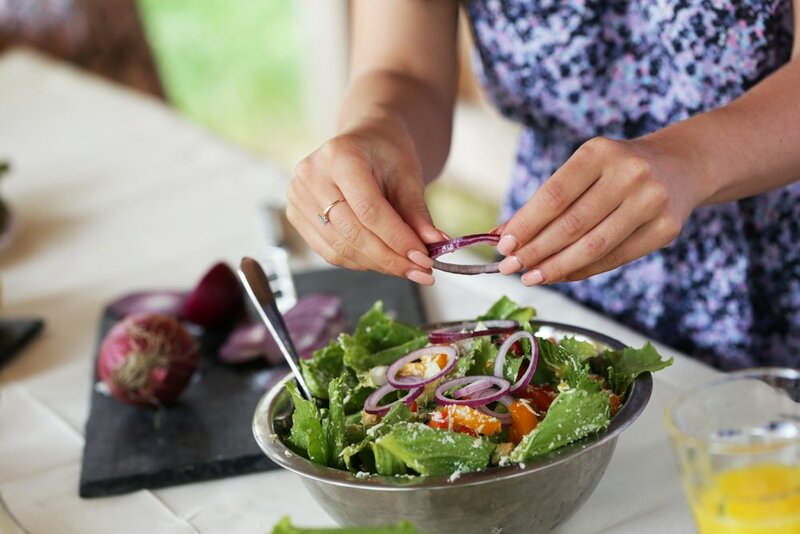 Grab some locally-grown kale and add it as a garnish or a tasty side salad. If you want to start eating sustainable foods, one of the best ways is to choose a sustainable protein and build off of that. Fish is a great option, and the opportunities are endless. Once you’ve gone grocery shopping, head home and cook up a healthy meal that’s good for the environment, too. Having trouble deciding what to make? 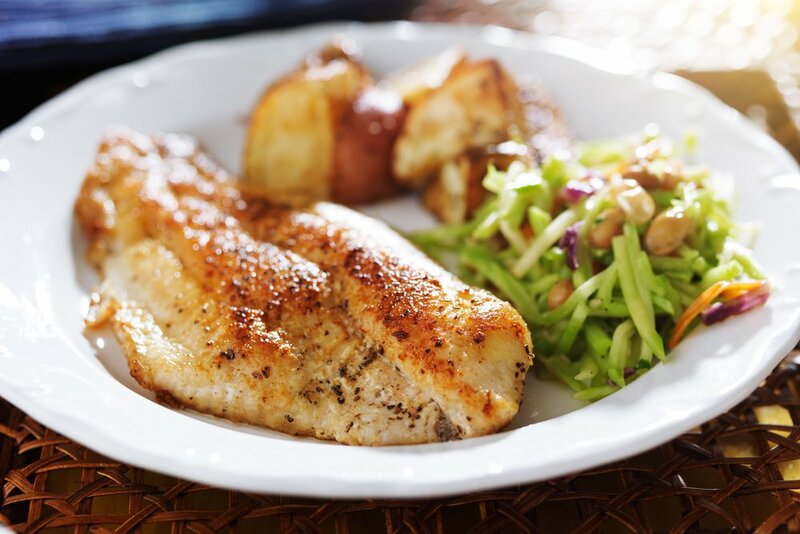 Check out these easy and healthy Tilapia dishes or 5 side dishes with 5 ingredients or less. Photos: Gayvoronskaya_Yana / Shutterstock Inc., Joshua Resnick / Shutterstock Inc., Y Photo Studio / Shutterstock Inc., zoryanchik / Shutterstock Inc.